"Mr. Chairman, as I said earlier today in my opening remarks, I do not intend today to talk about my private conversations with the President of the United States, but to answer your question - I have not talked to the president of the United States about the special counsel's investigation", Whitaker told the committee. "There's been no event, no decision that has required me to take any action, and I've not interfered in any way with the special counsel's investigation", he said. Whitaker infuriated Democrats by not giving "yes" or "no" answers, referring them to other departments such as the Department of Homeland Security (DHS), and at times challenging their questions. The rules are that you are here, so I need to ask the question and I need to have my time restored so that you can behave appropriately. That drew a response from Rep. Doug Collins, the top Republican on the committee. Have you communicated anything you learned in that briefing about the investigation to President Trump? 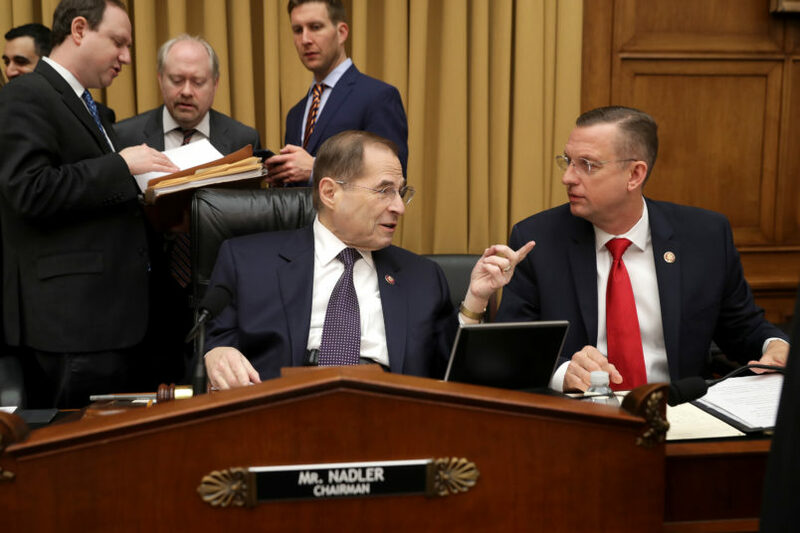 "Consistent with longstanding practice, I remain willing to appear to testify tomorrow, provided that the chairman assures me that the committee will not issue a subpoena today or tomorrow and that the committee will engage in good faith negotiations before taking such a step down the road", Whitaker wrote to Nadler. He talks to Anna Maria Tremonti about his time working on Trump's campaign, and having the president's ear.